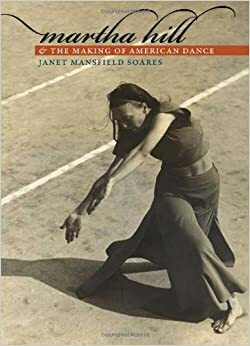 JanetMansfield Soares, Martha Hill and The Making of American Dance, Middletown,Wesleyan UP, 2009. When most people think about dance, they picture a ballerina fluctuating in the air. They think of a moving body. They do not usually think of what or who made that possible. However, the conditions and, most of all, the people who make dance (and art in general) happen are fundamental and to focus on them is as fundamental in order for us to think of dance in a more articulated manner. Martha Hill was one of them, she belongs to that group of people who we can considers standing in the wings of dance while dance is taking place. More precisely, Hill was The person who made dance happen in the United States for many decades. As a dance professor and educator, she had it fully inserted in the university curriculum, organized one of the most important festival for modern dance, the Bennington Festival, and established a solid dance department at the Julliard School at Licoln Center. Janet Mansfield Soares, who personally knew Hill and had access to unpublished material, has written an insightful biography, rich in precious details and remarkable analysis. It is as if a huge gap in dance history had been finally filled up. Thanks to her determination and knowledge of the field, Hill succeeded in strengthening the legitimation of dance among the other art forms, thus giving it visibility and respect. Who was this strong and powerful woman? She came from the MidWest, never had a tight relationship with her family and was not much interested in marriage. She studied gymnastics and dance at the Battle Creek Normal School of Physical Education where she graduated in 1920. In 1927 she went to see Martha Graham perform, was converted to her approach to dance and decided to go and study with her in New York. It was in this period that she began to understand that dance “must establish itself as a separate art form” in order to be fully recognized. It was the same convinction Graham and other modern dancers had, but Hill stopped dancing and dedicated herself to teaching and working towards the thorough presence of dance in the academic curriculum. That is why, along with her teaching role in various universities (like the University of Oregon and New York University), in 1934 she managed to organize the first season of a pivotal festival for modern dance, the Bennington Festival, held in Bennington, Vermont. According to Hill, modern dance was not a movement but a “point of view” and, in the 1930s, it badly needed affirmation and recognition. Hill, together with a set of committed collaborators, gave it this chance at Bennington. At Bennington College, a small college for women, she had begun teaching that same year. The Festival put together the big names of modern dance, like Martha Graham, Doris Humphrey, Charles Widman and Hanya Holm. They would teach classes but also work on choreographic pieces that they would present at the end of the Festival. Together with them, other important figures taught there, poet Ben Belitt, mythographer Joseph Campbell, dance critic Joseph Martin, set designer Arch Lauterer and composer Louis Horst, among many others. The atmosphere at Bennington was unique and its focus on modern dance a successful experiment that led other institutions to do the same. It lasted until 1942 with a year’s stop in 1939 when the Festival was moved to Mills College in California. It was then organized at Connecticut College under the name American Dance Festival and since 1978 it has found a new home at Duke University in North Carolina. In 1950 Hill was contacted by William Schuman, composer and director of the prestigious Julliard School of Music in New York, “to design and direct a dance division for the music school”. That was the beginning of another crucial adventure for her and for the establishment of a tradition of dance at University level. Hill succeeded again, not without overcoming difficult obstacles dealing with budget, space facilities and the relationship between ballet and modern dance. In particular, with regards to the last one, she had to fight a controversial fight with impresario, writer and ballet sustainer Licoln Kirstein who was championing George Balanchine’s ballet style and dismissing the relevance of modern dance at Julliard. At Julliard, Hill always supported a wide range of dance styles and techniques, among them ballet, but she was resolute in not giving modern dance up. She won and modern dance continued to be taught in the department by steadfast choreographers such as José Limón and Anna Sokolow. Ballet teacher was and remained choreographer Antony Tudor. Soares also gives us a thorough picture of Martha Hill’s personal life with her unconventional and close friendship with Mary Jo Shelley, her alter ego in organizing the Bennington Festival and many other enterprises and with her deep love for Thurston Davies, known as Lefty, president of Colorado College and a married man who married Hill after his divorce was over. In his 1936 book America Dancing, Martin exemplified Hill’s maverick and vital personality and choices: “She could have made a successful career as a dancer…for she has a definite flair for movement and an exceptional gift for composition, but education is her paramount interest, and for it she is uniquely equipped”.